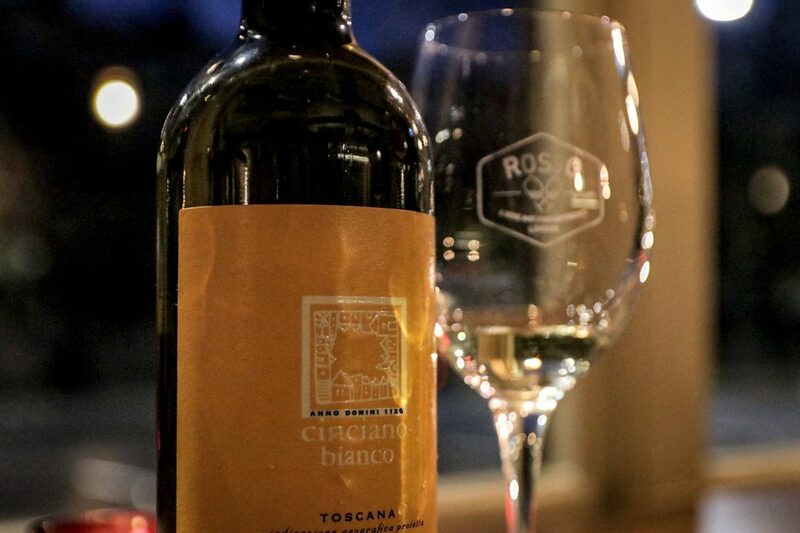 As you will have seen in my previous post, I had taken part in a lovely, informative wine tasting with the Cinciano Vineyard at Enoteca Rosso and we were treated to a pairing dinner. We kicked off our meal with home-made Focaccia and olives that were devoured within minutes as both were really good. My starter was a board of wild boar bresaola, pistachio salami and a selection of Pecorino cheese which was so up my street as I’m all about platters. 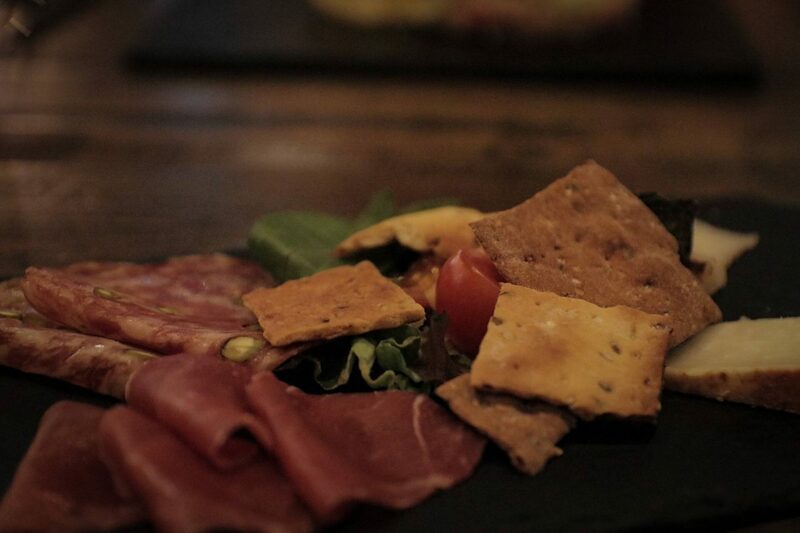 The bresaola was rich, the Pecorino chunks were super generous and delicious plus the crackers they were paired with were so good! I’d of usually had bread with a board like this so it was nice to have a different option. My plus one, Teddie, is a pescetarian so the chef from Enoteca kindly allowed her to swap her starter for a fish based dish. 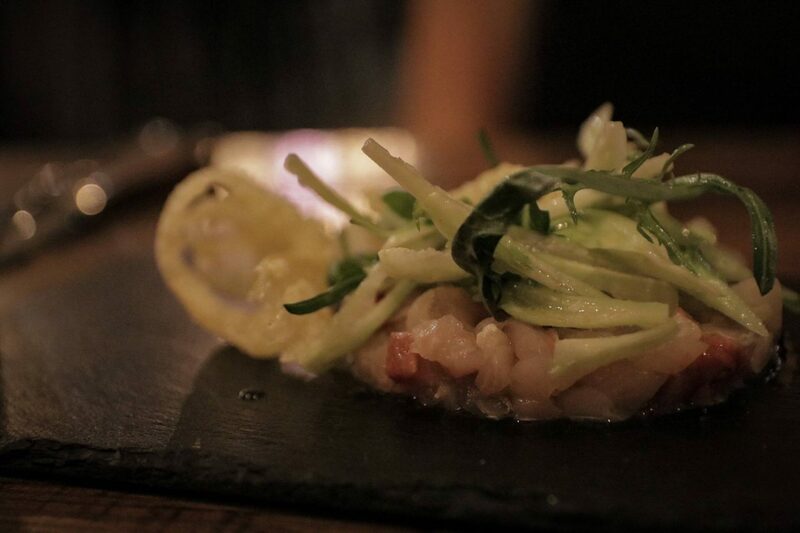 The fish tartare was the chosen option and it was so flavoursome. There was quite the array of fish used and the crisps that were served with the meal complimented so well in texture and taste. Our starter was paired with the Cinciano Bianco which worked really well with both of the options. Despite the bresaola being filled to the brim with flavour, the wine wasn’t overpowered. 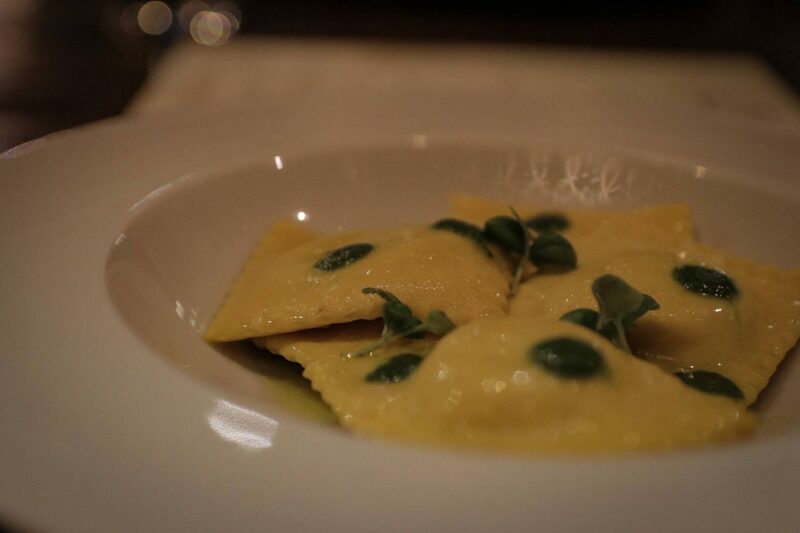 The next course was Ravioli filled with Pappa al Pomodoro and drizzled with basil infused olive oil. It was just so good. It may have been quite a basic style dish but we both loved it. The pasta texture was ever so slightly al dente which is how I most enjoy my pasta and the Pappa al Pomodoro filling, usually a soup, was just delicious. This course was paired with the Gotifredo Rosato, which was a welcome difference to what I would usually do a home. If I’m drinking Rosé, I don’t usually pair it with food so it was a great way to see that it’s totally doable and something I will do now for sure. My main course was the Fagioli all’uccelletta e salsiccia, which is stewed beans with sausages. 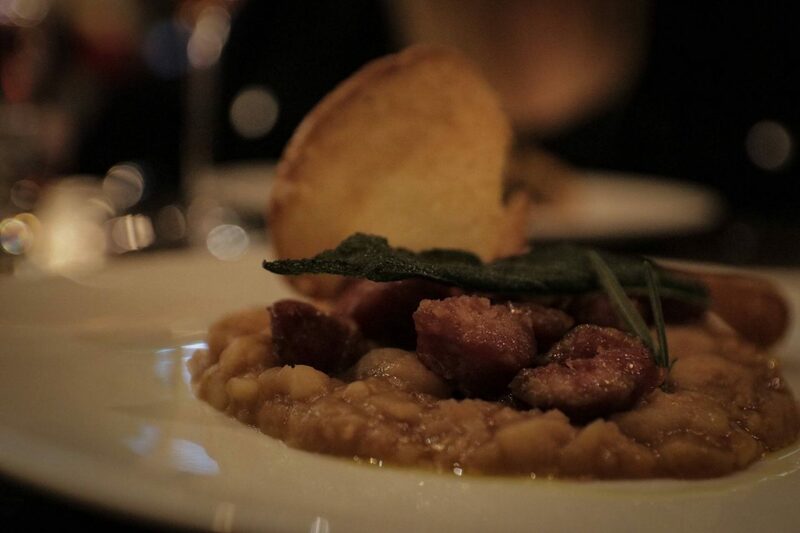 This is perhaps one of the most iconic dishes of Tuscan cuisine; the beans and sausages are cooked together over a gentle heat until the beans become creamy and the sausages do not release fat and flavour. Oh my, this was so good! The beans were so tender they were almost a mash-like consistency and the sausages were crispy, yet soft, and still had so much flavour. I’d happily order this time and time again. Teddie had the same Tuscan beans but had hers topped with King Prawns. The prawns were huge, didn’t need cleaning up and worked really well with the other flavours on the plate. 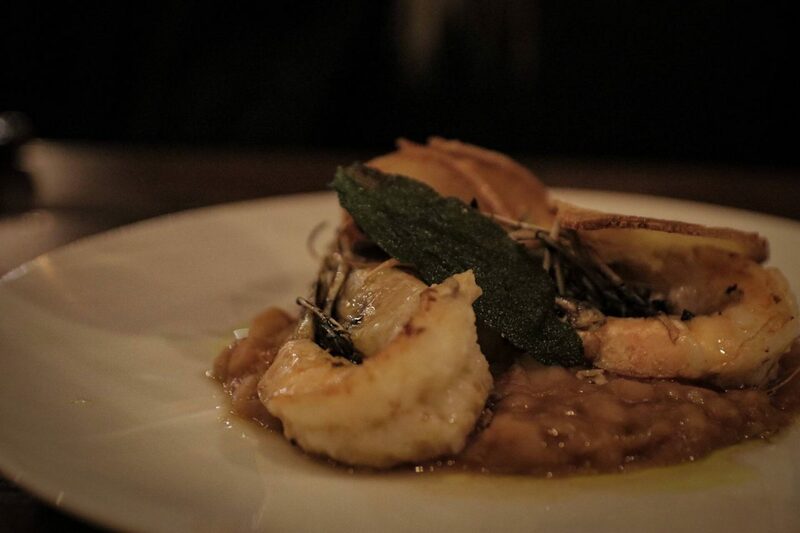 These courses were paired with a glass of the Chianti Classico Gran Selezione with its slightly spicy flavours with a hint of black pepper complemented both dishes so well. With the sausage and prawns being very different flavours, it was great to see a wine that worked so well with both. 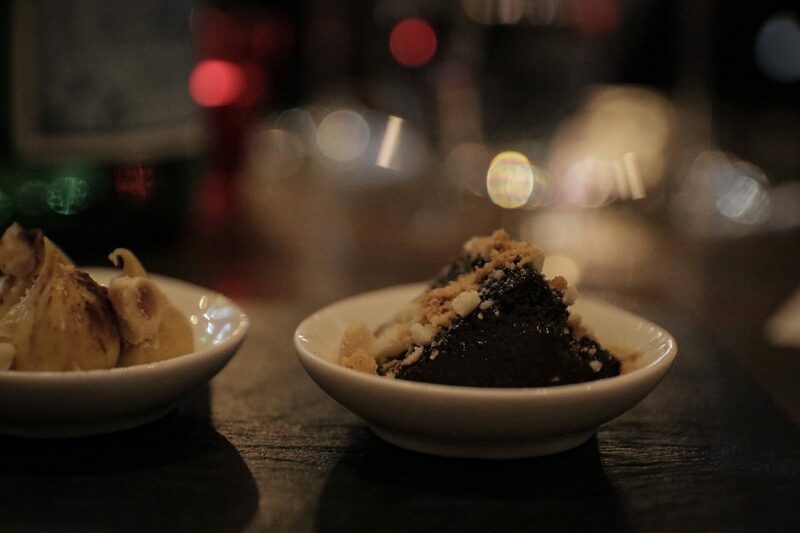 We were thoroughly spoilt with our desserts as we received a trio of the chef’s favourites. 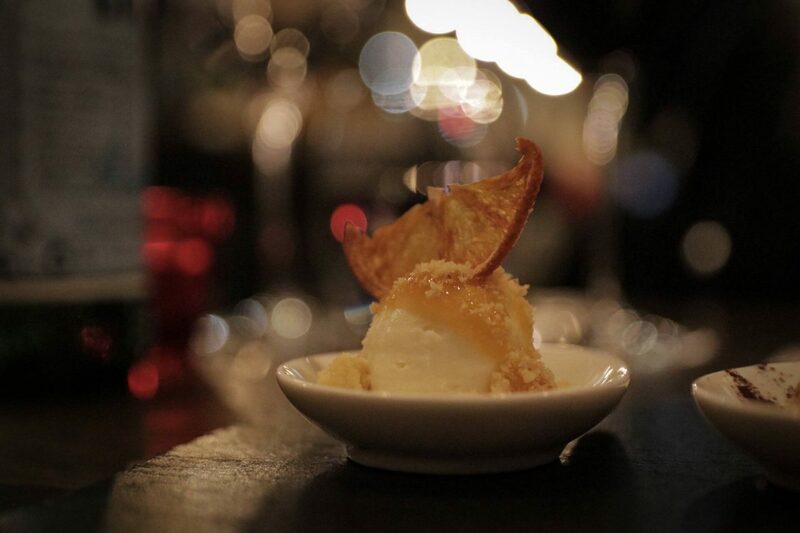 We had little scoops, just more than a mouthful which was a lovely way to finish up our meal. We had an orange cheesecake, that I really enjoyed even though I don’t like citrus! My favourite of the three was the Hazelnut mousse with mascarpone, almonds and Maldon salt; the flavours were just so good altogether and I’ve not had anything like it before. The third dish was a really moist chocolate cake that I’d definitely devour with a cup of tea. Our service was really good, every dish was served with a smile and some banter and we felt so welcome there. In fact, we left feeling like old friends and I’m 100% heading there for brunch soon! The Wild Geese Honey Liqueur. 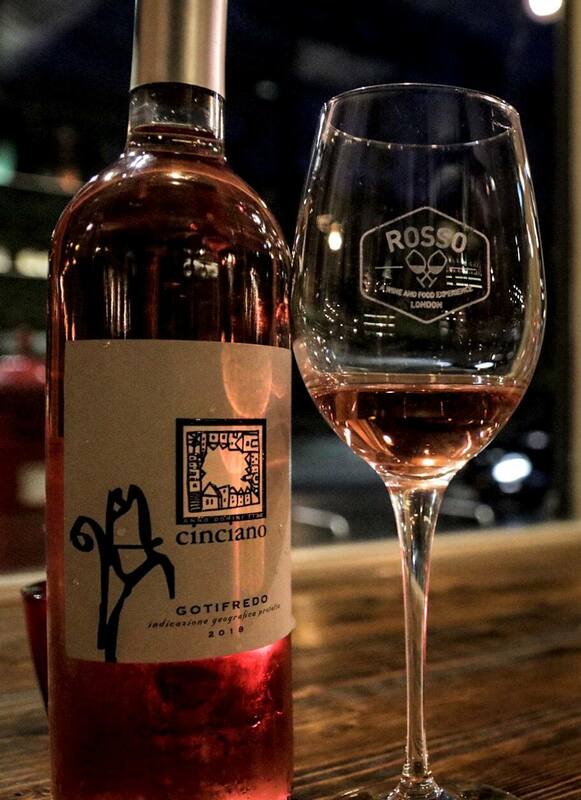 "An Evening with Cinciano Vineyard at Enoteca Rosso; The Wine Tasting"